Help Us Build the Blog! You are here: Home » Help Us Build the Blog! Do You Have an Idea for a Topic? 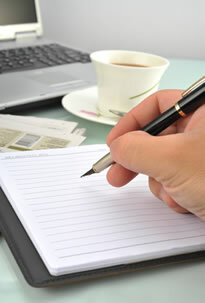 Do You Like to Write? If you answered yes to either of these questions, we’d love to hear from you! You can suggest a topic, express your interest in writing with us, or provide feedback about the blog by completing the inquiry form below. Here’s a little more information that might be helpful as you think about your inquiry. Be sure to visit the About Us page for even more info about the purpose of the blog. Articles should feature tips and strategies for using best practices, follow-up from professional development activities, and other topics relevant to early interventionists who work with families of infants and toddlers with developmental delays and disabilities. Specifically, we love to share practical tips and strategies interventionists can use when working with families of infants and toddlers within the context of everyday routines and activities. All articles should encourage discussion about implementing early intervention supports and strategies as this blog is intended as a place for our audience to share insights and to learn from others. The target audience for this site is: early intervention educators, physical therapists, speech pathologists, occupational therapists, service coordinators, local system managers, program supervisors and other administrators, families, university faculty, home visitors, and anyone else interested in early intervention. As you write your article, please honor the confidentiality of the children, families and colleagues with whom you work. Please avoid using personal information or other identifying characteristics. If you have feedback about the blog, feel free to send it using the inquiry form below too. Your feedback is always welcome and helps us improve the information and resources we provide. Thank you!